If I had a nickel for every time one of my uncles asked to me “pick a card,” I would have too many nickels. But let’s be honest, there is a sense of fun and mystery in a good old-fashioned card trick. The question to be asked of card tricks, though, is this: magic or math? 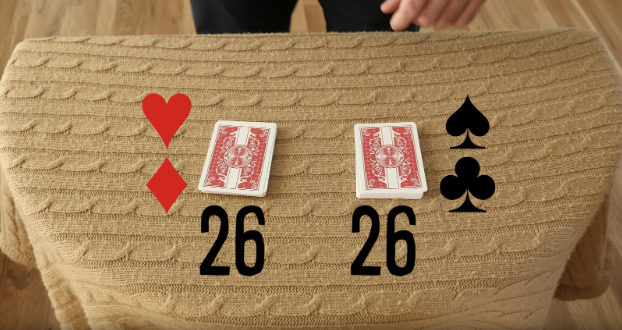 As much as we would love to tell you magic is definitely behind your favorite game of pick a card any card, we’re just as excited to tell you that math has a pretty big part in most card tricks. 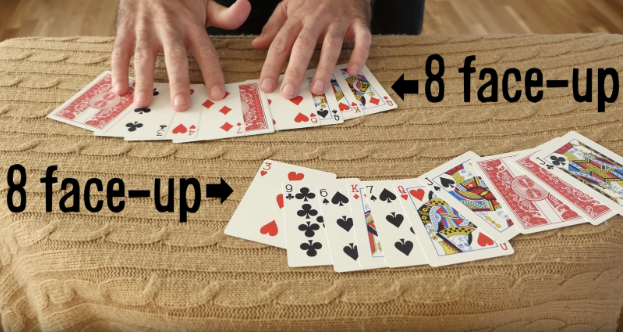 If you want to impress your friends, check out these cool math card tricks. If you want to impress your math teacher, tell them how you know it works! If you divide a deck of cards exactly in half, there will always be the same number of red cards in one half as there are black cards in the other. Another fun trick is to take a smaller number of cards, let’s say ten. Place those ten cards facing down, and then count out another ten cards. Place those 10 facing up on top of the original set of ten cards. Take the mess of cards and shuffle them as much as you want, but make sure you don’t flip over any of the cards. With a little math, you can then separate the cards so that there are the same amount of cards facing up as down. Behind your back. Over and over again. Starting with 10 cards (Ace to 5 of clubs and diamonds), move the cards around so that they are mixed up from where you started. With the help of a willing assistant and some math skills, you will be able to perfectly match up each card with it’s partner (Ace of Clubs and Ace of Diamonds, and so on) without looking at where the cards were shuffled. Now we know what you’re thinking: how do I actually do these math tricks? 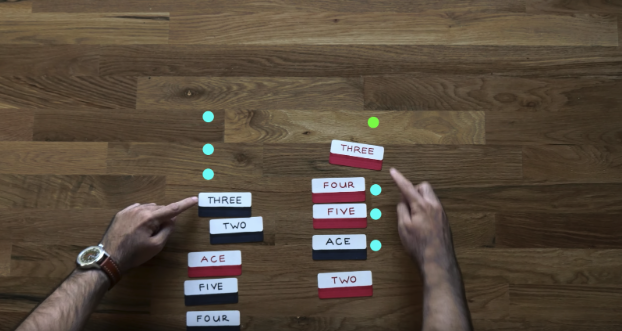 To find out more about the mathematical principles at work and how to impress your friends, check out this video by Vsauce!